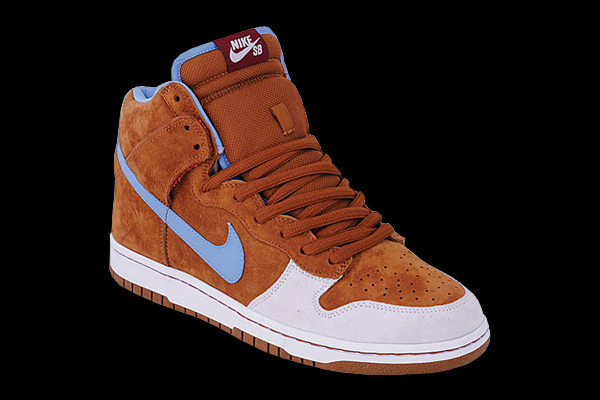 This attractive hazelnut suede, white and light blue Skate Mental x Nike SB Dunk High Premium is slated for a December 2009 release. The shoe features a seude, leather and synthetic upper as well as Zoom Air heel insert technology. If that gets you excited you can make your way over to CCS to pre-order. The shoe retails for $109.99.